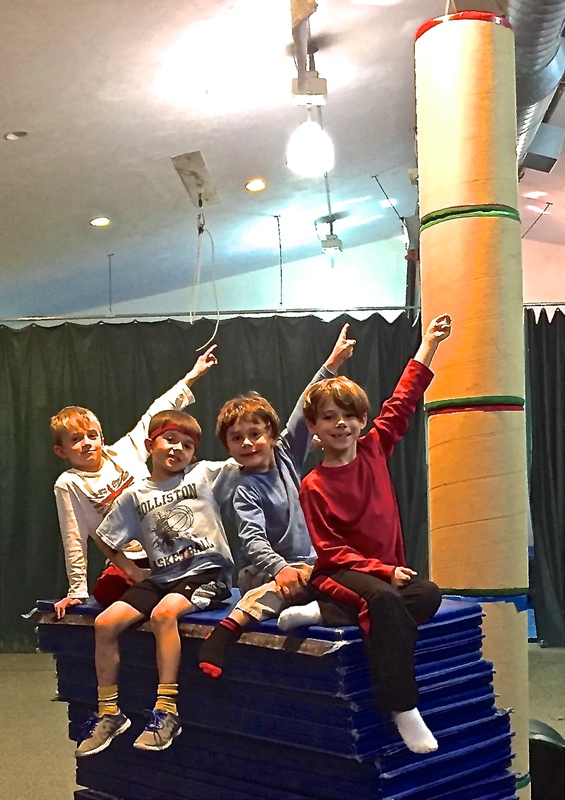 During the school year, Academy MetroWest conducts weekly 75 minute social skills groups in a gym setting. Groups are small, with no more than 6 or 7 members and serve children and adolescents ranging in age from 6 to 16. Participants are matched up on the bases of age, grade, physical skills, personality, and overall developmental level, with the goal of creating homogeneous groups. 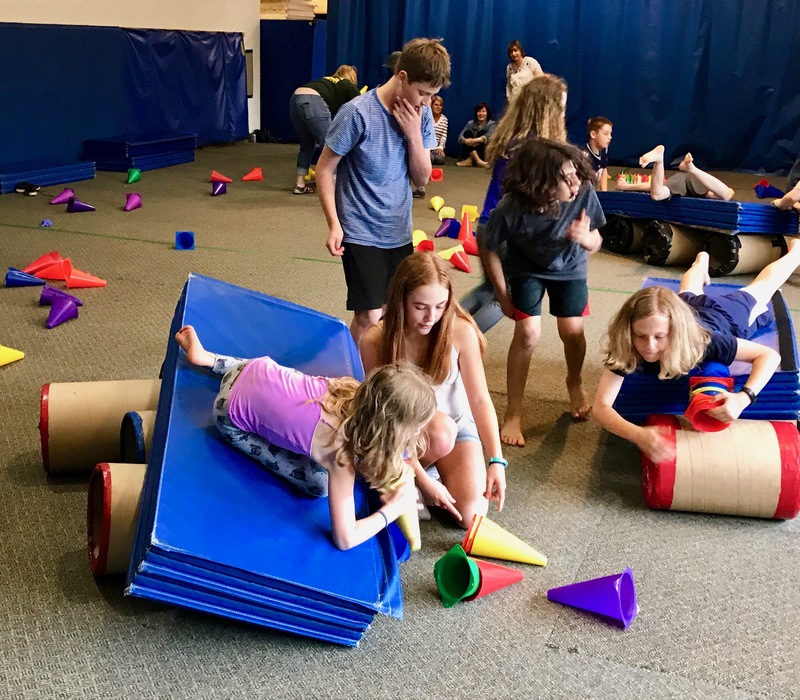 With an agenda centering on cooperative, non-competitive physical activities, our staff of professional counselors help children and adolescents to focus on their assets, attain consistent, concrete success, and improve interaction skills. But what kids focus on is the fun! Academy MetroWest counselors strive to keep things energetic, engaging, and exciting for every group member while helping them learn to read and respond to social cues, work within limits and boundaries, and recognize the natural consequences of their actions. An initial interview with the child and parent(s) is required. We use this information to determine the best placement for your child. There is a $90 fee for these sessions which last between 75 and 90 minutes. Call us at (508) 655-9200 between 9:30 a.m. and 3 p.m. on weekdays to arrange an initial interview. Academy MetroWest Director Bruce Sabian had the opportunity to sit down for a radio interview with Mark Altman, President of MindSetGo. MindSetGo is a business that works with children, adolescents, and adults on enhancing communication skills and differentiation. The interview aired on WCRN Radio on 5/19/18 and covered a range of topics focusing on social skills, child development, and Academy MetroWest. Click on the image to listen to the interview. One child’s success is never directly dependent on another child’s failure. Instead, children must rely on each other to maximize success. Academy MetroWest counselors draw on a repertoire of nearly 150 cooperative, non-competitive activities for teaching social skills. While our games take many forms, they are structured to ensure that children are participating together as allies in pursuit of a common goal — rather than as rivals working against each other. Because the confrontation inherent in many traditional sports is largely absent from our activities, conflicts develop less often than in other physical or recreational settings. One child’s success is never directly dependent on another child’s failure. Instead, children must rely on each other to maximize success. We work with children and teens between the ages of 6 and 15. Owing to the social skills focus of our program, we see many children with ADHD, Autism Spectrum Disorder, Non-Verbal Learning Disorder, anxiety, various learning disabilities, and other issues in which social skills delays play a prominent role. However, a formal mental health diagnosis is not required. Fees are for 75-minute sessions which meet weekly. Fees are collected on a pre-pay basis. Adjustments can be made based on financial need. We do not bill insurance companies directly. However, some clients have been able to arrange reimbursement from their insurance provider following pre-payment for services at Academy MetroWest. Please contact us at 508-655-9200 to learn more.